Reward your child for being good this year by getting them a personalized certificate of recognization showing they are on Santas Nice list. 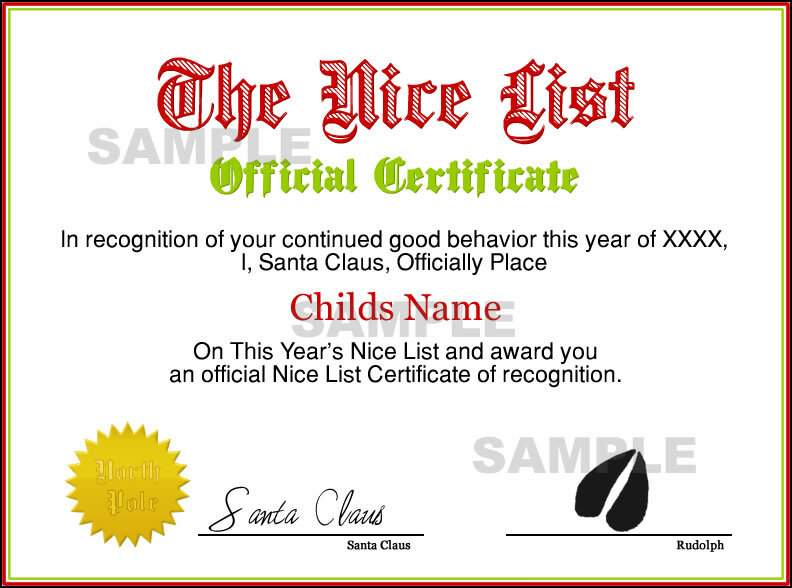 Choose a nice list certificate, personalize it, print and go. Copyright � 2009. SantaClausMailShop.com. All rights reserved. Web Development by Tsunami PC Productions.